This Splatoon-like 2D platformer slides onto consoles later this month. Splasher, the 2D platformer from indie developer Splashteam and publisher Playdius, is officially coming to PlayStation 4 and Xbox One in September. The announcement came alongside a new launch trailer for Splasher that showcases the game’s unique “splatforming” mechanics. In Splasher, you use paint to traverse each level in new and unique ways. Splasher is a 2D platformer that blends the interactive paint mechanics of Portal 2 and Splatoon with the intense speedrun side-scrolling of Super Meat Boy. 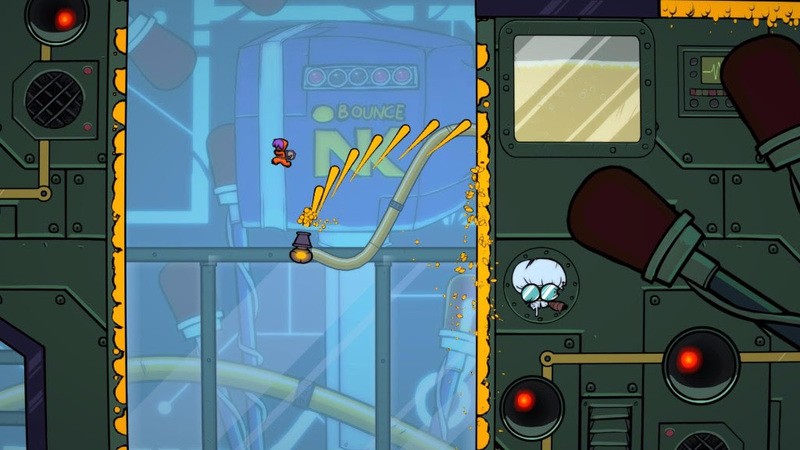 In Splasher, players take the role of an Inkorp paint factory worker (known as a Splasher) bent on taking down the maniacal corporate boss, Le Docteur, who has been conducting evil experiments on the protagonist’s fellow co-workers. The paint you use in Splasher has different properties that can allow you to stick to walls or bounce in the air. You’ll need to be innovative with your paint usage in order to traverse through each of the game’s 22 unique levels. If a Splatoon/Super Meat Boy hybrid strikes your fancy, then be sure to pick up Splasher later this month. Splasher initially launched on Steam back in February, and the developers at Splashteam have been busy preparing for their console debut ever since. Splasher will arrive on PS4 and Xbox One on September 26th.